The Coffee Kitchen started back in 2011 serving speciality coffees, real bread, homemade cakes and different varieties of tea. In 2015, we opened The Bakery in Market Place. 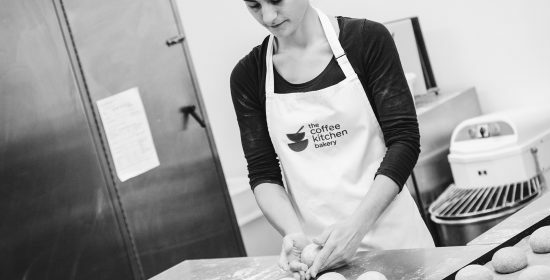 We make as much as we can in-house including bread, cakes and traybakes. We even roast our own hams and make our own pickles and lemon curd. When we opened, we were determined to prove that you don’t have to go to a big city to enjoy great coffee. We hope you enjoy visiting The Coffee Kitchen as much as we enjoy working there. 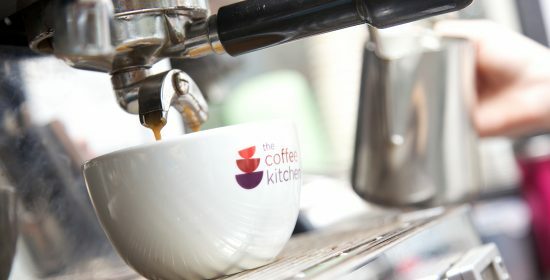 Our newsletter is full of news and events about The Coffee Kitchen and The Coffee Kitchen Bakery. You will also receive special offers and discounts throughout the year. If you get there a little early, don’t worry. Come in and we’ll serve you as soon as we can. We regularly host a wide variety of events, and on Friday nights we stay open late with a cafe-bar from 6pm to 11pm. Relax with a selection of great Cumbrian Beers and pizza.